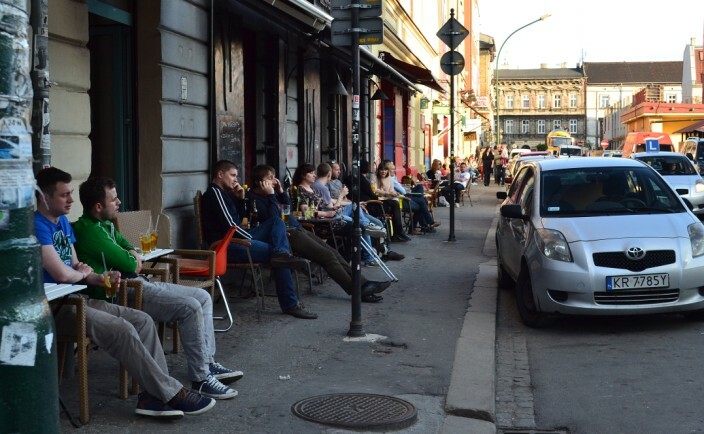 Like just about every big European city, Krakow is a pedestrian-friendly town. You’ll see more of the real city and its people and their everyday life on foot than you will using any other method, so if you’re able to perambulate, put on your walking shoes and hit the bricks. 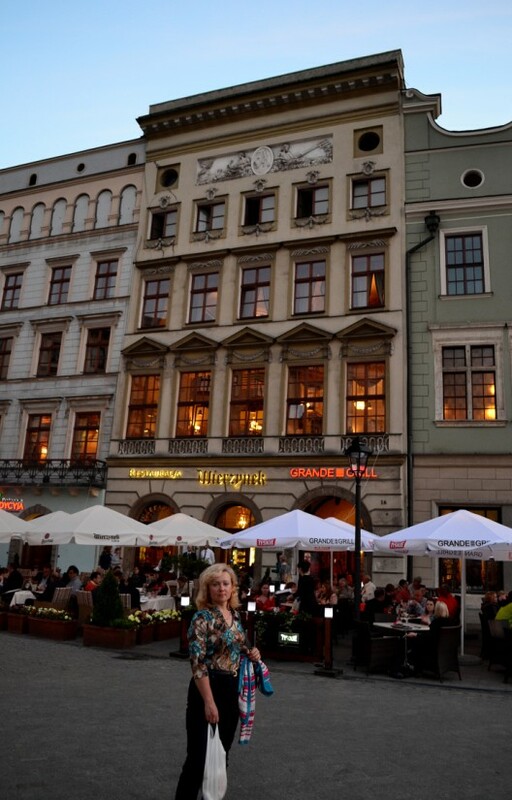 The place to start, of course is the Stare Miasto, or Old Town, which I’ve covered in my previous Krakow articles. 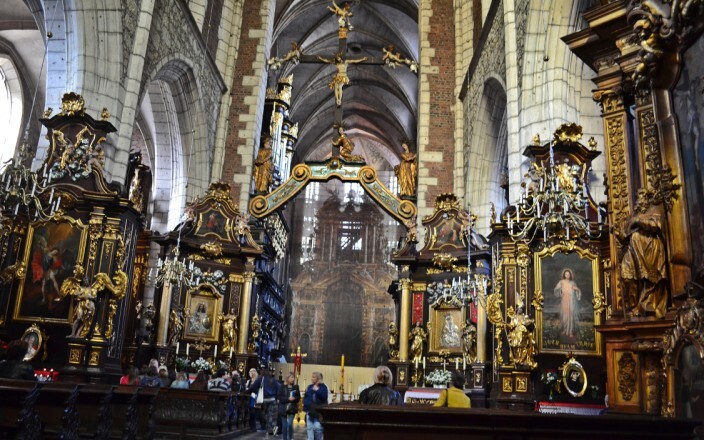 St. Mary’s Cathedral, Wawel Castle, various museums and galleries in abundance, are all to be found within the confines of Old Town, or right next door. But if you set your sights a little farther afield, there are other great neighborhoods you can explore afoot. Your feet might complain a little afterwards – or maybe a lot – but the rewards are worth it if you’re the kind of person who likes discovering a new city from ground level without a tour guide deciding for you what’s worth your time and what isn’t. 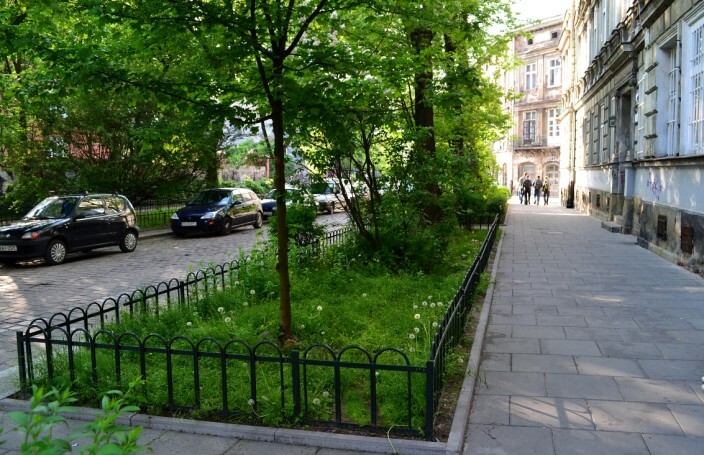 Our own path led south from Wawel Hill, skirting the edge of the Kazimierz District, or Jewish Quarter. 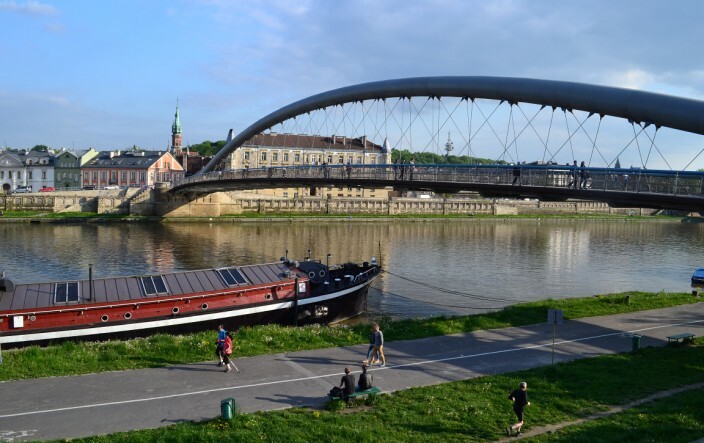 We would come back to it later, but at first we kept our course south across the Vistula River and into the Podgorze District. 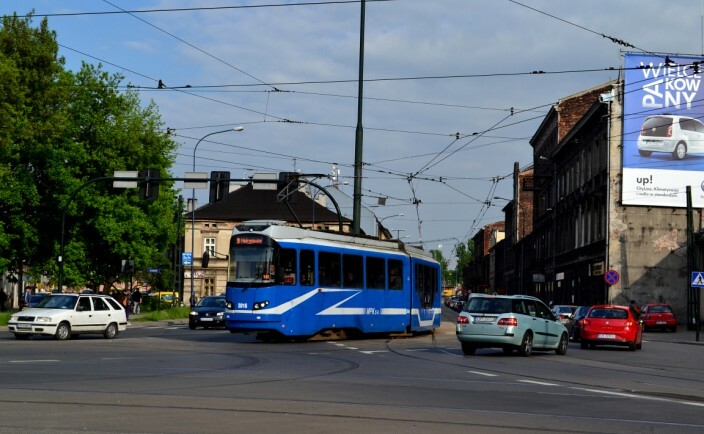 Today, Podgorze is probably best known as the site of the Jewish Ghetto during WWII, and though a bit run down in comparison to some other neighborhoods of the city, it’s been undergoing somewhat of a revival in recent years, with new businesses, fashionable cafes and nightlife springing up. 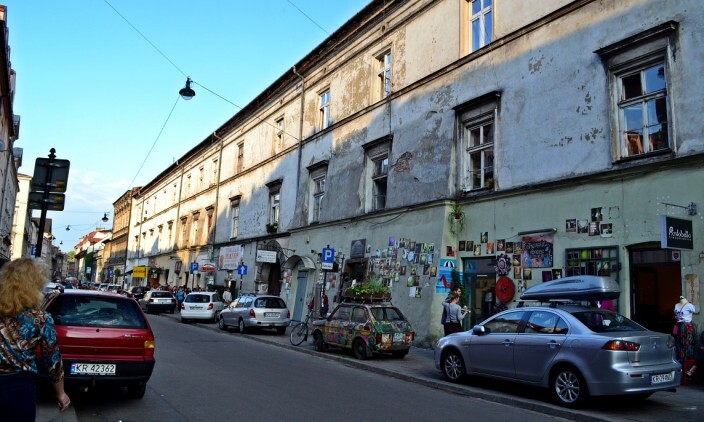 While Podgorze isn’t exactly a hotbed of tourist activity – which can be a good thing – we enjoyed our walking tour of it. The standout attraction has to be St. Joseph’s Church, which is just about impossible to miss. 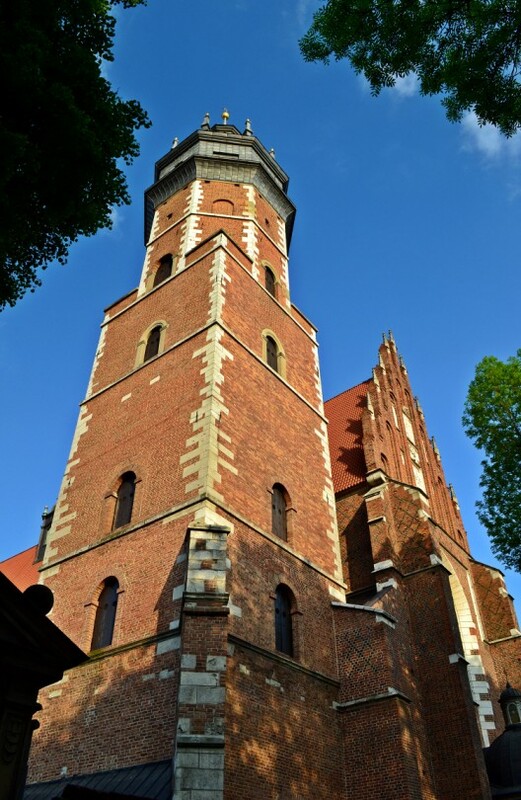 Simply look up from almost anywhere in Podgorze and you will see its spire looming above everything else. The 80 meter tall central tower is quite impressive, as is the entire exterior and its architecture. Unfortunately, we found the outside of St. Joseph’s a lot more interesting than the inside. Compared to St. Mary’s Cathedral, or just about any other church we visited, the interior of St. Joe’s is a bit drab. While I wouldn’t want to have missed it, if you plan to visit, you won’t have to allot much time for inside. 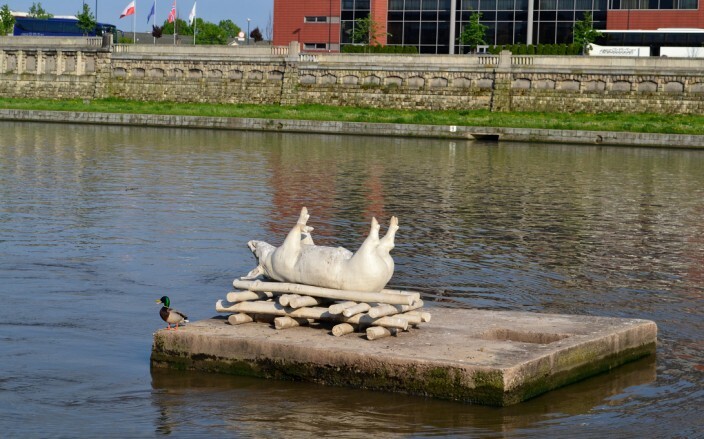 We strolled a while longer through Podgorze, then crossed back north across the Vistula into the Kazimierz District. 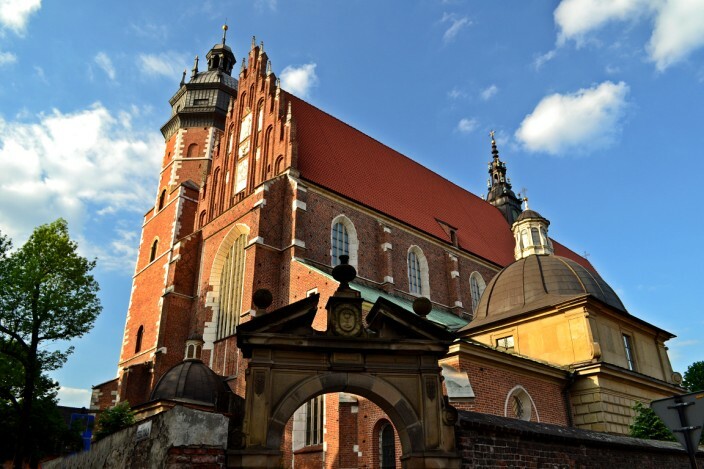 There’s plenty of Jewish history to be found on these streets, including several historic synagogues, as well as another of Krakow’s many outstanding Catholic churches, the Corpus Christi Church. It features a hodgepodge of architectural styles due to its long and twisted construction history in the 1300’s, spacious grounds and a three-aisled interior featuring a nautical theme: a boat-shaped pulpit, a mermaid, oars and fishing nets. I never did find out why, but it makes for an offbeat look. One of the enjoyable aspects of pavement-pounding is street food, and we found plenty of that, too, as well as the afore-mentioned cafes. 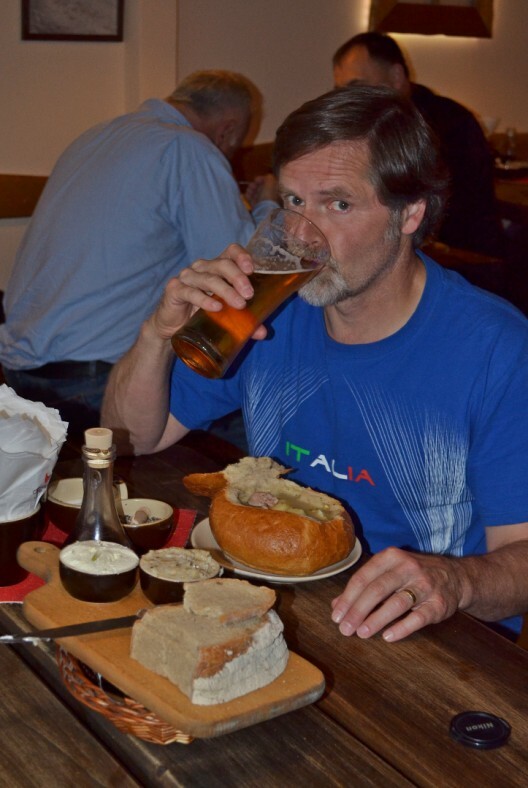 We thoroughly enjoyed the Polish cuisine, tasty, cheap, and very filling. Lots of hearty potato and sausage dishes, as you’d expect, but there’s a lot more than that. You certainly won’t go hungry and you won’t go broke doing it, either. Probably our favorite meal of our entire stay was actually a dinner in our hotel restaurant. 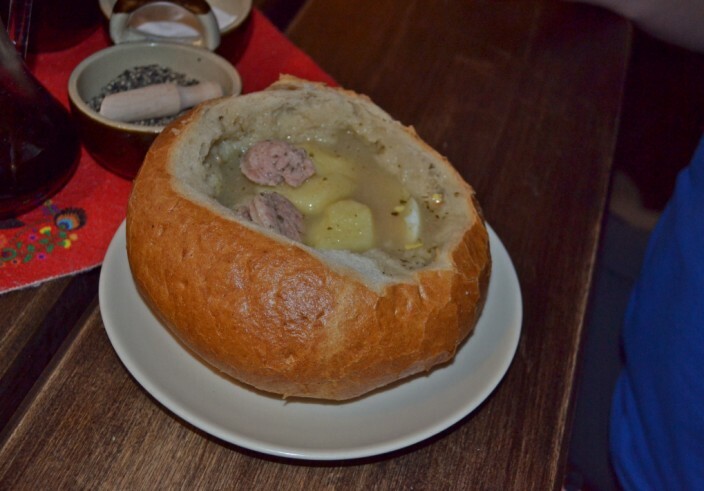 Sometimes hotel restaurants get a bad rap, and rightly so, but at the Hotel Polonia we found the opposite to be true. I would recommend it as a dining destination even if you aren’t a guest there. A substantial, perfectly prepared and presented dinner for two, with drinks, cost us 57 zlotys, which works out to about $18. Not eighteen bucks each, but total. Try finding a deal like that in most major European cities. Two croissants and two tiny cups of espresso would cost you that much in Paris. 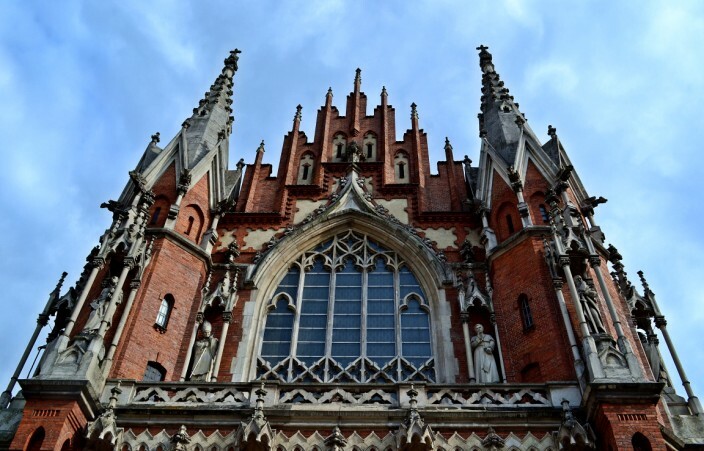 If you’re a classical music lover, you’ll be spoiled for choice in Krakow. Every night of the week you can choose from several concert venues, just about all of them featuring music of Frederic Chopin, Poland’s favorite native son and number one gift to the music world. 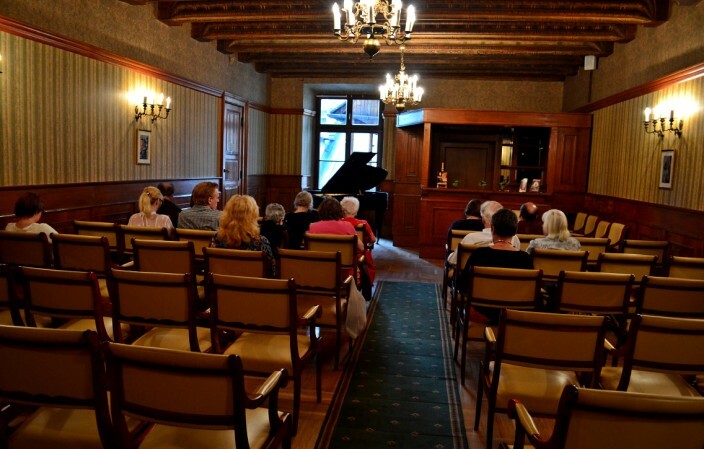 We took in a concert at the legendary Wierzynek Hotel, a piano recital by Pawel Motyczynski, a young Polish pianist. The concerts are held on the third floor of the hotel in an intimate setting with about 80 seats total. He played lots of Chopin, a little Beethoven, a little Liszt, with a glass of wine served at intermission. What’s not to like? After the concert we strolled out into the square one last time in the twilight, with a magical sunset bathing the square and all the people wandering through it in a rosy glow. 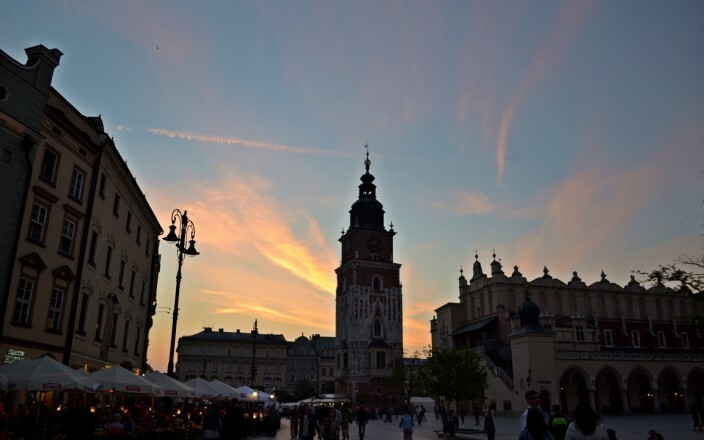 It was our last night in Krakow – we had a ten o’clock night train to catch to the Czech Republic – and although I was excited to get to Prague, I found myself wishing to extend our stay in Krakow as well. But then, we can always go back some time. 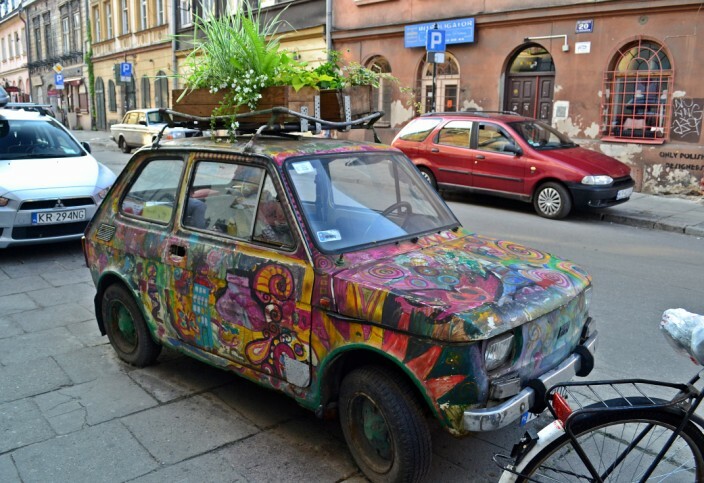 If you’ve never been there, or you’re looking for something outside the London/Paris/Rome routine of European travel, give Krakow a try. It exceeded my expectations, and I think you’ll like it, too.